After 39 years in Prison...exonerated! What can we learn? First: His sense forgiveness towards the person who was the reason for his unjust imprisonment for nearly four decades. He actually not only forgave him, but also wished the best for him. And on top of all of this he expressed his gratitude towards the witness as the latter came forward to recant his original testimony. I believe there is a lot that everyone can learn from this guy, Ricky. The man lost 39 years of his life in prison for now reason, and yet he forgives the person who was behind it! When you watch the interview you can see actually how sincere he is. Second: His insistence on his innocence and belief that one day the truth will be made clear. In response to one of the questions, Ricky pointed out that his belief and determination that one day he will be cleared of the charges was necessary for the continuation of his struggle for freedom. In a TV interview he actually states that his attorney once told him that he could be released immediately if he pleaded guilty. He simply refused. Now this takes a lot of courage and honesty to stay true to oneself in the midst of this predicament. The reason I am writing this peace is to share with you my ideas on this exceptional case. I believe this example is so profound that all of us can learn from it. It also shows that those who criticize the rules and law system of Islam should learn some humility. There are atrocities committed in the name of law, equality, democracy, etc, and no light is shed on them. This was a profound experience for that man, and it could be so for many others if they wish to learn from it. It is a real lesson in courage, positivity, and forgiveness. These were just my thoughts and I felt a need to share them…peace! 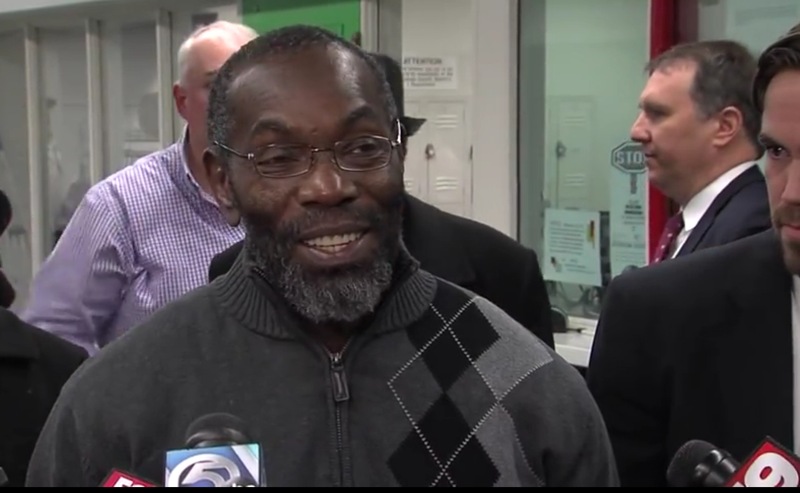 1 Responses on After 39 years in Prison...exonerated! What can we learn?" Absolutely amazing! Please share more like this.